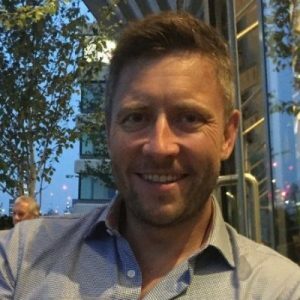 Squires lands at Liquidnet in a new senior role to help expand its European sales strategy. Liquidnet, an institutional trading network, has announced its appointment of Dan Squires as its newest Sales Director, who will be focusing on the European hedge fund space with the company. Mr. Squires joins Liquidnet with over two decades of experience in the financial services industry. In his new role he will be helping drive and develop Liquidnet’s membership within the hedge fund community, whilst based out of London. In this capacity he will be reporting to Tony Booth, Liquidnet’s Head of Sales. He will also be working in tandem with other senior elements of Liquidnet’s team, including members of its Trade Coverage, Sales, Fixed Income and Execution and Quantitative Services, in a bid to help foster the company’s long-term sales strategy. Mr. Squires joins Liquidnet from RBC, where he workd in the equity sales division. Previous stops include senior roles at Citi, GSA Capital, and Merrill Lynch, dating back to 2000, according to information made public on his Linkedin profile. “Our business has seen record global performance, and we expect to see further growth in our core buy-side to buy-side block business, Next Gen algos and fixed income offerings,” he added. “As regulations like MiFID II bring tremendous change to the industry, Liquidnet’s equities and fixed income platforms are very well positioned to drive innovation in the market and allow investors to trade efficiently inside the spread in total anonymity and, hence, ultimately improve their investment performance,” explained Mr. Squires in an accompanying statement.